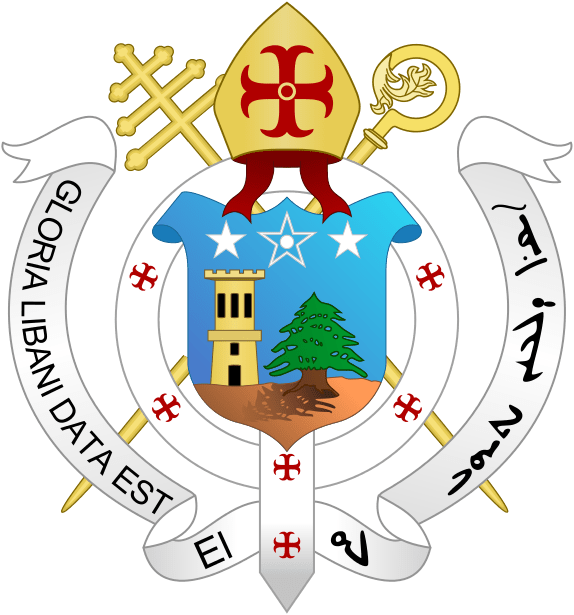 Before the 18th century, the Maronite Patriarchate in Mount Lebanon was subjected to the rule of Tripoli's governors, a reality which forced the Patriarchs to seek protection by migrating towards the district of Kerserwan, where the Khazens were in power. At the time, the Khazens had vowed to protect the Church and its Patriarches from the injustice of the Ottoman rule and by doing so, forged and led the Maronite political line at the time in parallel with the Maronite Church and its clergy's path. The Khazens were involved in every aspect of the Maronite Church, whether organizational or spiritial or managerial. The Khazens' ever growing influence, along with the Hbeich and Dahdah Cheikhs and other influential Maronite families, gave them a rightful and important role in the electoral process inside the Church and the Maronite Church's congregations and organizational matters in relation with the Holy Synod in Rome. Added to that, the Maronite Bishops and Cheikhs would also write to the Pope to express their consentment over the electoral process and to seek the papal blessing and his endorsement for the elected Patriarch on the Antioch Chair. In the next part, we will discuss the major changes that came after the Lebanese Synod took place as well as the role of the Khazens in the appointment of Maronite Bishops. Throughout the next few days, we will be publishing a series of posts on the Khazens and the Maronite Church. Ever since they moved to Keserwan in the 16th century, the Khazen family and its Cheikhs have shown a unique and unmatched interest in the Church and in helping it prosper and spread out. They took charge of the spiritual, cultural, apostolic and organizational matters and donated to the Church without asking for any return. Their relationship with the Maronite Church is a historical one and their bonds have been solid for centuries now and will only get stronger with time. El Khazen Cheikhs migrated to Keserwan in the 16th century after various economic and political crisis that hit Lebanon due to the Ottoman invasion, forcing them to move to Keserwan which was safer and offered new economic opportunities. Since the 15th century, Northern Mount Lebanon witnessed a new political dynamic and an economic crisis which left a negative impact socially and economically. 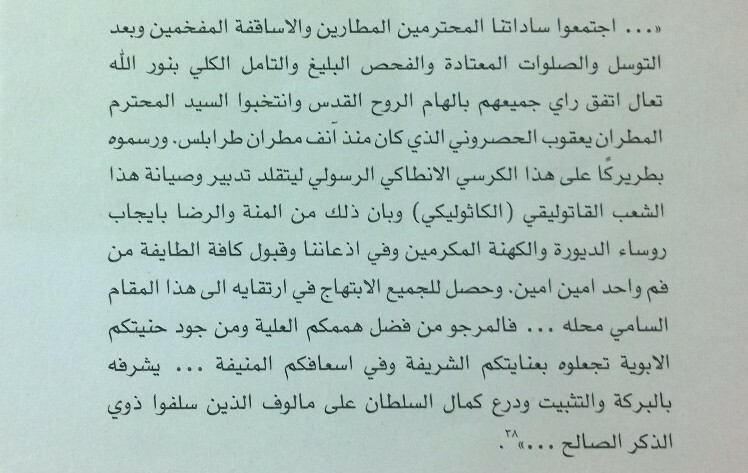 On one hand, the surge of the Jacobians in Bcharre led to a state of political chaos after Maronites "Moukaddams" distanced themselves from the Church and started fighting for political power. On another hand, the shortage of lands fit for cultivation and the harsh working conditions, as well as the rise of taxes and extra fees cause a drift between the various social classes and led to further impoverishment. In the start of the 16th century, and after the Ottomans defeated the Mamluks North of Aleppo in 1516, Sultan Salim The First entered Damascus as a conqueror and obtained loyalty and obedience from the local princes. These princes had to abide by the Ottoman law, and pay taxes to the Ottoman Sultanate. Among the princes was a Sunnite Zaiim from the Bekaa called Prince Mohammad Ben el Hanash who was handed over the Bekaa area and named Moukaddam over it. However, Hanash rebelled with the help of Four Druze Leaders against the Ottoman invasion and wanted to restore the Mamluks' rule, but his attempt failed and he was later on arrested and condemmed to death. This incident led to a state of political chaos and lack of security in the Bekaa due to rebel movements, which forced the residents to seek a safer and calmer refuge somewhere else. Prince Assaf el Turkmani was kept by Sultan Salim The First as a ruler over Keserwan, and was given an official blessing and forced to pay a tax and revive his province. Prince Turkamni took it upon himself to boost the economy in Keserwan and started building businesses and shops, and made Keserwan a safe economic haven for North Mount Lebanon Christians from one side and Sunnite and Shiite Muslims from the Bekaa area. The Origins of the Khazen family are still vague. They might have emerged as nomads from the Ghassanides tribe that start moving between Damascus, Nablus, Houran and Yammoune in the year 1100 before settling in Jaj, a small village above Jbeil. The oldest trace to the Khazen family comes back to Sarkis el-Khazen who translated the Bible to “Karchouni”, which is an Arab dialect written using the Syriac Alphabet dating back to 1545. Sarkis el-Khazen from Jaj moved his family to Balloune in Keserwan where he died in 1570 leaving two children, Abou-Sakr and Abou-Safi Rabah to which all the Khazen branches can relate to. We are in the year 1584 and Prince Korkomaz, son of Fakhreddine the First, took shelter in the Jezzine Grotto and suffocated to death after The Wali Ibrahim Pacha was unable to reach him and consequently ordered to fire rogue herbs at the entrance of the Grotto. Prince Korkomaz had asked his wife Nassab to leave him and secure the life of his two sons Fakhreddine and Younes. She fled, took shelter in Deir el Kamar at Cheikh Kiwan’s, who helped her manage her husband’s businesses and keep her children safe. Later on, Sit Nassab sneaked back to Balloune with the two little princes and all were kept in Ibrahim Ibn Chidiac Sarkis el Khazen’s custody, also known as Abou-Sakr. In the “Traditions Francaises au Liban”, published in 1918 in Paris, Council of France Rene Ristelhueber wrote: “Not only did the Khazens hide carefully the young princes unaware of their social statute, but they contributed largely to their education. The Khazens were greatly responsible for raising and educating the young Fakhreddine. 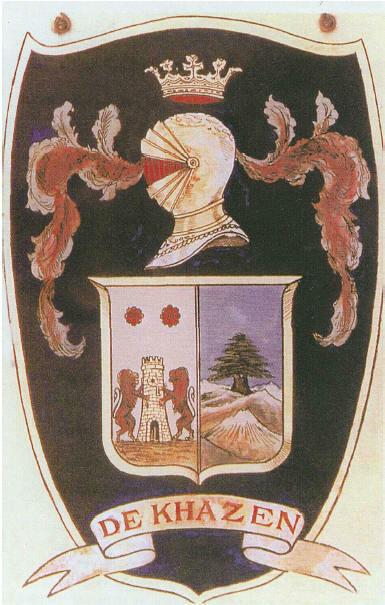 After the death of Abou-Nader in 1647, the position of Moudabber was taken by his son Abou-Nawfal who was also in charge of collecting the taxes for his district that included Chouf, Keserwan, Batroun, Akkar and Jebbet Becharre. 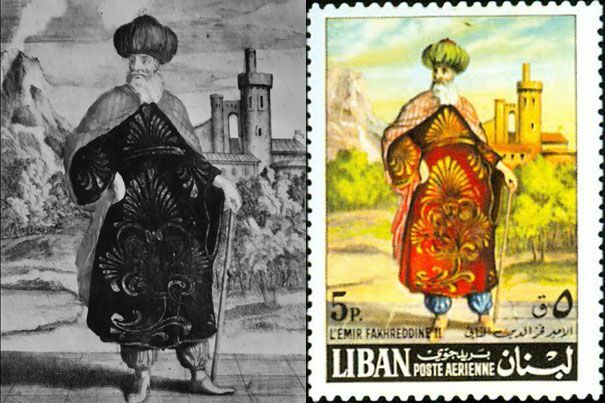 In 1652, Abou-Nawfal welcomed the Jesuites to Lebanon (in Antoura) and Pope Alexander IV named him Roman Knight and allowed him to wear a knight’s tunic with a cross. He was later on appointed consul of France by Louis XIV. In 1658, Emir Melhem died and his sons and heirs Ahmad and Korkomaz kept the post of Moudabber with Abou Nawfal. The Antoura College was founded by the Jesuite Fathers in 1656, and was their first college in Lebanon after having established themselves in Aleppo since 1627 and Damascus since 1643. Their visit to Lebanon was an accidental one after two Jesuite Fathers were thrown by a huge storm on the shores of Jounieh. They were welcomed and greeted by Abou-Nawfal who provided them with a residence in Beirut and a property in Antoura where they could build their famous college. The Antoura College was taken over by the Lazarists in 1773. In 1668, a plague ravaged Aleppo’s provinces causing the death of over 140000 people in the city, as well as 75000 in Damascus, Tripoli and Mount Lebanon. In order to survive the plague, Abou Nawfal took the necessary precautions by dividing his properties over his eight sons, Nawfal, Fayad, Khazen, Torbey, Khater, Sleiman known as Abou-Ali, Kayss known as Abou-Ajam and Abou-Nasr. Abou Nawfal died in 1679 and was highly admired and respected by all. His elder son Fayad, known as Abou-Kanso, inherited the Consul of France title and began his reign by building a sumptuous convent in Ghosta and adding a church next to it, named after Mar Elias el-Hay in memory of his father. As it happens in any family, there’s always a bad element that causes disturbance and puts the family in trouble and Khazen, one of Abou Nawfal’s sons, was constantly looking for trouble before he got assassinated by his brother Abou-Kanso assisted by his sons Sakhr and Hosn. The reason was that Khazen was going to kill one of the Harfouche Emirs and get the family involved in unnecessary clashes as well as tarnish its reputation. Fayad, known as Abou-Kanso, was a just man who would always put the interest of the family, Keserwan and its people and the emir above all. He was always keen on maintaining order and he proved so after killing and kicking out Abou-Moussa Zaarour and his gang. In details, a man known as Abou-Moussa Zaarour had united one day around him an army of thugs and was attacking farms and villages and committing heinous acts against local residents. However, as his gang was attacking Wata Jozz at some point, Abou-Kanso asked his son Fayad to lead an army and fight Abou-Moussa. As a result, Zaarour was killed and his men chased and kicked out of Keserwan which regained its peace and serenity. Abou-Kanso died on the 17th of September 1691 leaving behind 6 children: Hosn, Sakhr, Khattar, Haykal, Daham and Dargham. Dargham became a patriarch later on under the name of Youssef. After the death of Abou-Kanso, the Hamade tried to take advantage by stealing commodities stocked in the Jbeil Port, and raiding and killing in the areas of Akoura. This upset the Khazens up to a point that they reported the matter to Tripoli’s Ali Pacha and Emir Ahmad. The latter agreed to help and asked the Khazens to help him with an army of 1000 men. 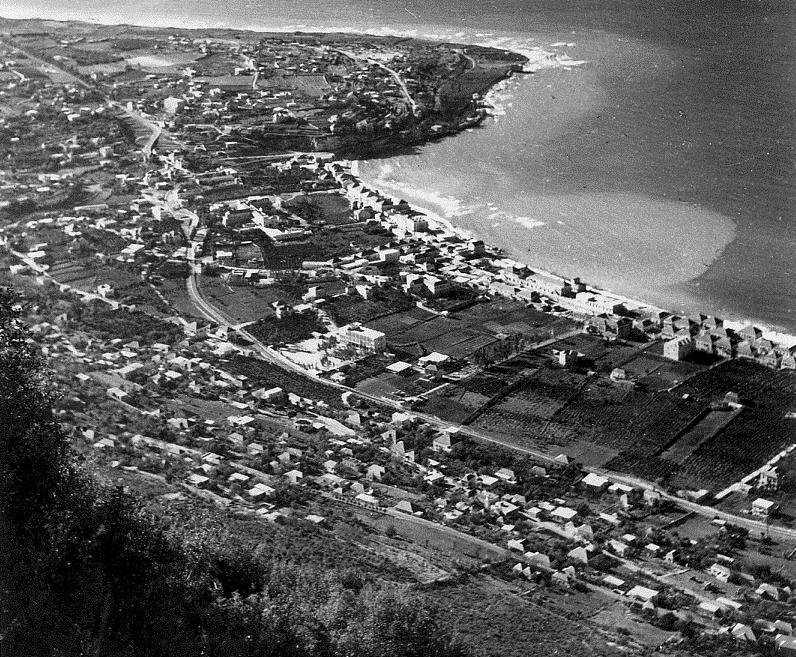 As a result, the Hamades were kicked out of Keserwan, Jbeil and Tripoli. However they were brought back by the new Wali, Arslane Pacha, who took over the Tripoli province and pressured Prince Ahmad to include Keserwan in his province, which he did. Arslane Pacha then sent an army to Keserwan and was inflicted a severe defeat in Ftouh Keserwan and sent back to Nahr Ibrahim. He later on accused Prince Ahmad of his involvement in that battle, and allied with the Walis of Saida, Damascus and Ghaza against him. Consequently, the Sultan ordered that Ahmad Al-Manni and the Kayssite be replaced by Prince Moussa Alameddine the Yemenite. Cheikh Hosn was the son of Fayad Abou-Kanso and had the same qualities as his father. He was named in 1693 as consul of France and Moudabber on behalf of Prince Ahmad Al-Maani. When Prince Ahmad was forced to leave his position, he bought his way out in gold and retreated to the Chouf for around 5 months until he was brought back by the new Sultan Mustapha to head Mount Lebanon’s province. He brought back with him the Khazens. It was during this period and exactly in 1702 that the idea of turning Keserwan into a shelter for the Christians of the region got the Khazen’s full attention. It was at this point that Hosn sent a letter to Louis XIV asking for financial aid, a letter to which Louis XIV (Known as Roi-Soleil) answered by sending him a substantial financial amount of 1000 Gold coins. PrinceAhmad died on the 13th of September 1697, thereby ending the Maan dynasty which had ruled Lebanon for 580 years and given a lot for the Lebanese and more specifically the Maronites through their counselors, the Khazens. Fakhreddine could not take the humiliation of the previous battle and was still decided to take his vengeance and kept planning for it secretly. When the time came, he united his troops and those regrouped by Abou-Nader in Nahr Ibrahim and stormed the Ottoman Saifa stronghold, demolishing his castle and inflicting on him a humiliating defeat. Added to that, he ordered his troops to carry the stones from the castle all the way up to Deir el Kamar for him to rebuild his demolished castle with them. Fakhreddine thanked the Khazens for their help and rewarded them by appointing Abou Nader as the right hand to the governor of Keserwan, Jbeil and Batroun. Msayleh was built at the time for surveillance purposes. Having finally claimed his vengeance, Fakhreddine made use of his stay in Tuscany and took several measures to improve the country, enhance the economy and build a 45,000 Sokman-strong army. He also forced the farmers to enroll in the army and report to duty once per week. This helped him maintain 15,000 trained men from different confessions and social classes ready to confront any attack. Damascus’ Pacha wasn’t very happy about Fakhreddine’s dominance and he attempted in 1623 to attack him in Anjar but Fakhreddine inflicted yet another humiliating defeat to the Ottomans. As a result, he was named “Sultan of the Continent” and became the most powerful prince of that era with an empire extending from Antioch in the North to Palmyre in the East and Safad in Galileo in the South. Aleppo was also part of Fakhreddine’s empire and he was more and more relying on the help of Abou-Nader who used to carry the prince’s orders all the way from Beyrouth to Akkar passing by Nahr Ibrahim. He even got to Aleppo where he ordered the construction of two citadels, one on the left of CHamamiss’s citadel and another in Antioch. He also built a citadel in Kab-Elias and ordered to have another in Msayleh in Batroun. More importantly, he ordered to restore the Baalbeck ruins. All these construction works caused the death of Abou-Nader’s first son Nawfal (a name he gave to another son afterwards) after an earth quake led Smar’s citadel to crumble. The Fakhreddine era was the golden age for Lebanon and the Lebanese from all religions. Everyone was living in prosperity and able to feed their families. However everything good ends at some point and Fakhreddine made one fatal mistake that cost me his whole empire. He decided in 1630 to take out one of the many privileges the Ottoman Empire, one related to the ongoing trade with Tuscany and the credential letters for the arriving boats. This privilege was exclusive to Sultan Mourad IV who had just won a major victory against Iran’s Shah. As a result, he ordered Damascus’ Kutchuk Pacha to dismiss the Prince and attack him by land while the Ottoman fleet surrounds Fakhreddine by sea. Fakhreddine saw his son Ali, his brother Younes and the elite of his army fall in battle and had to surrender. He was taken with his family to Constantinople where Mourad IV condemned him and his 3 brothers, Mansour, Haidar and Boulouk to death in 1635. As for Abou-Nader and his uncle Abou-Safi, Emir Ali Alameddine helped them regain Keserwan but Emir Hassan and his moudabber Abou-Nawfal weren’t that lucky and were made prisoners by Khalil Pacha in Aleppo. 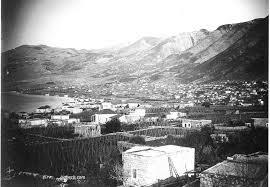 However, Abou Nawfal was able to run away and regain Keserwan, only to find out his properties and those of the Hobeich family were confiscated by Emir Ali Alameddine. Abou-Nader, his son Abou Nawfal and his brother Abou-Khattar fled to Tuscany where they were taken in and treated as noble by the Grand Duc of Florence. The end of the Fakhreddine rule plunged Lebanon into a turbulent chapter where Emirs and Cheikhs were fighting violently over Fakhreddine’s heritage and trying to gain some of his power and lands. In fact and in 1636, Kutchuck Pacha decided to get rid of the Maans and took out Emir Melhem, son of Younes and the legitimate heir of the Fakhreddine. He placed instead as chief of the Chouf area the prince Ali Alameddine, who was a member of the adverse Yemenites clan. In fact, Kayssites and Yemenites, two tribes that originated from Arabia and Yemen, were always fighting over Lebanon, with the Kayssites being always led by a Maan and having a dominance in the Khazen’s Keserwan. Having said that, an understanding was reached between the Aga of Damascus Ahmad Chamli and Emir Assad Sa’I’fa to get rid of Alameddine under the pretext that he wasn’t paying their share of the taxes collected. As a result, they sent an army of 7000 men that invaded Keserwan killed Alameddine, his family and a large number of partisans. Kayssites saw in this event a victory and all reunited around Emir Melhem, Fakhreddine the Great’s grandson, who took back the reign of the Chouf and Keserwan. After learning the news, Cheikh Abou-Nader, his son Melhem and his brother Abou-Khattar came back from exil and as soon as they got to Lebanon, Emir Melhem gave them back their lands and Keserwan’s governorate which extended from Jebbet-Becharre to the borders of Beirut. Abou-Nader was placed back as Moudabber as well.